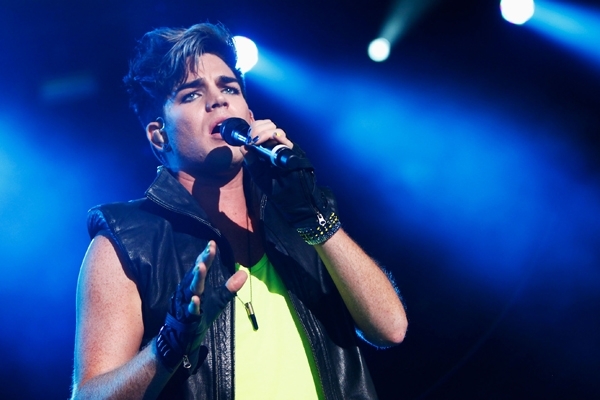 Theatrical pop-rocker Adam Lambert is joining the cast of Glee for Season Five. Showrunner Ryan Murphy tweeted the news yesterday, writing, "I am thrilled to announce that the super talented Adam Lambert is joining the cast of 'Glee' this fall." Season Five premieres on September 19th, though it's unclear when Lambert's stint will begin or how long it will last. Lambert isn't the first Idol contestant to work on Glee: Season 11 runner-up Jessica Sanchez appeared in two episodes of Season Four. In its highly successful run, the show has also featured Ricky Martin, Gloria Estefan and Britney Spears. The move makes sense for Lambert, a fan of the series who finished as runner-up on the eighth season of American Idol. CNN reports that he tweeted "I'm so excited!! ;)" about joining the cast, but the tweet has since been deleted. Actress Lea Michele (who co-stars on the show as Rachel Berry) has long expressed interest in working with Lambert; in 2009, she told MTV, "I love Adam Lambert! I want to sing with him so badly." Lambert's 2012 album Trespassing debuted at Number One on the Billboard 200. He also made waves last year by singing with Queen during their performance at the Sonisphere Festival in Knebworth, England.